Here are a series of tutorials that offer some nice techniques on creating picture frames in PowerPoint. 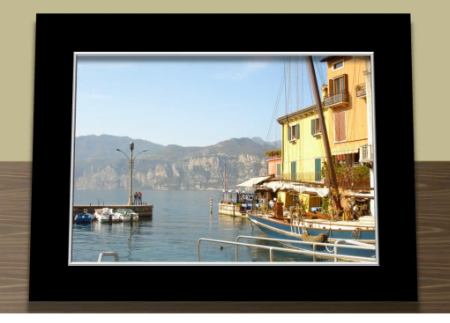 Bruno De Pace of Evolve Training & Consulting has a couple of good examples of picture frames created in PowerPoint. You can see it by itself or on a desk in a scene. View the PowerPoint picture frame. View the picture frame tutorial. Stephanie Harnett of ICE offers two cool tutorials on how to create some funky picture frames. Check out her two tutorials. I was watching Tracy Hamilton’s tutorial on nudging objects and it made me think about a few ways to create the picture frame look she desired. So here’s my simple picture frame tutorial. So there you have. A whole series of tutorials on creating picture frames in PowerPoint. I build elearning courses with PowerPoint and publish with Articulate Presenter. This is typically called rapid elearning. I write about it on my work blog, The Rapid E-Learning Blog. Traditionally, elearning courses are built in Flash or other applications. Because of this, when people hear that courses are built in PowerPoint they’ll immediately think that it’s boring bullet point slides. And I can understand why because there’s so much of it out there. To show you that PowerPoint is an effective tool for building elearning courses, I recreated a course that was originally built in Flash. For my demo, I built all of the graphics and assembled it in PowerPoint alone. 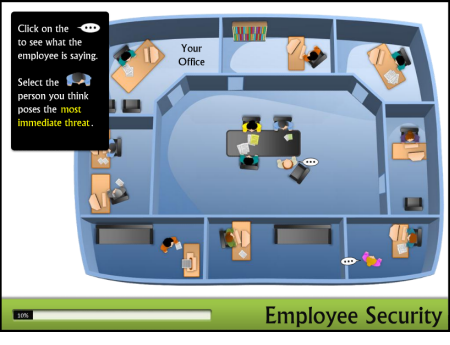 Then I published it with Articulate Presenter. Here’s a link to my version of the course, if you want to see how it works. And here’s a tutorial that walks through the original and how the PowerPoint version works. Click here to view the demonstration. I like to use PowerPoint for most of my basic graphic design work. First, I don’t need to leave the application and open something else. Second, PowerPoint’s a pretty decent program for some simple graphic design. I needed to create a stack of papers for a project recently, so I built this quick tutorial to show you what I did. As you can see, it’s pretty easy to do. Once you have the graphics built, just right click and save them as image files. So You Want to Be a PowerPoint Superstar? The only way you’ll become a superstar is by learning to really use PowerPoint. Here are some tutorials featured on the Rapid E-Learning Blog recently that help you learn more about PowerPoint. David Anderson offers some really good tips on how to get rid of your bullet points. First he offers a two part series on get ridding of text and replacing it with the right visual elements. Part 1: How to reduce text on my slide? Click here to view the first tutorial. Click here to view the second tutorial. By progressively revealing information you can sync your graphics and text with your narration. Using timed animations also means you can get rid of that standard PowerPoint bullet point look. By following David’s ideas you can make your slides less text-heavy and more visually interesting. You also dump that typical bullet point look that so many complain about. 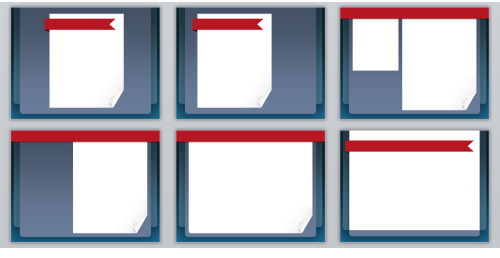 People are always asking for storyboard templates. Personally, I just use PowerPoint. I can put anything on the slide and if I want comments I can add those to the notes section or drop in a simple comment box. Plus I can edit and preview on the fly. I prefer this more than I do drawing everything out on paper. In addition, PowerPoint 2010 has some better commenting features and can link to OneNote (which I’ll cover in an upcoming tutorial). So, I recommend starting with PowerPoint. But if you want to create a storyboard and you don’t want to use PowerPoint, here’s a free tool that let’s you do so. Check the quick storyboard tutorial below. 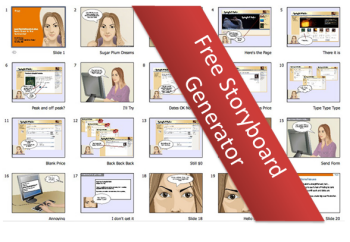 Here’s a link to the web site that will generate the free storyboard PDF. 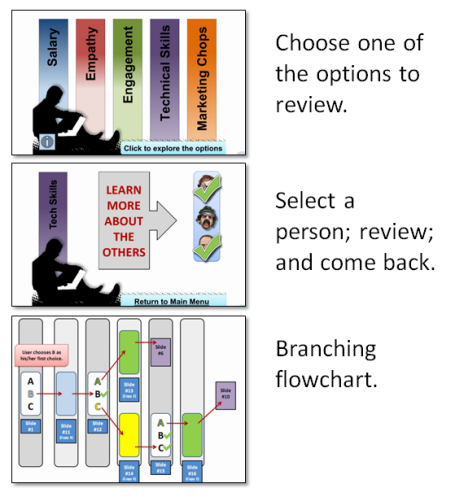 Adding some interactive decision-making to your rapid elearning course is a good idea. Leslie from Education Breakthrough has a great screencast on how he created a branched interaction in PowerPoint. This can be applied for rapid elearning courses if you’re using a tool like Articulate Presenter as well as something you can do in PowerPoint and present as a .pps file. He sets up the scenario. You have a set of criteria with which to evaluate some people. You evaluate the people. As you return to the original slide, you notice the person visited has been marked off. He provides a tour of the interaction and a flow chart to show how it works. Here’s a link to the PDF that explains how he built the branched interaction in PowerPoint. I get a lot of questions about PowerPoint 2010. Personally, I think it’s pretty slick. There are a lot of new features. 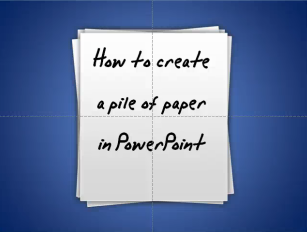 In fact, I’m starting to put together some simple tutorials on PowerPoint 2010. I’ll have them listed soon. 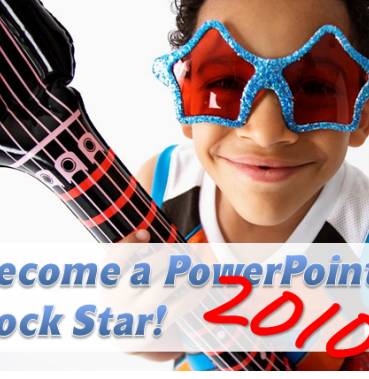 You can always check out this blog post where I discuss a recent free PowerPoint 2010 webinar: Become a PowerPoint 2010 Rock Star! Click here to view the PowerPoint 2010 tour. I’ll be adding some free tutorials soon. If you have any specific questions, feel free to ask. 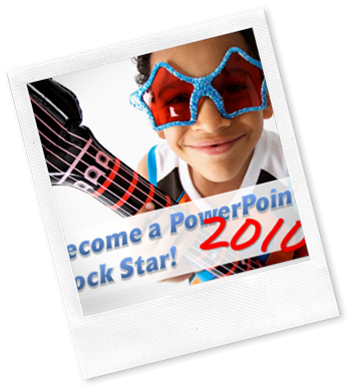 Become a PowerPoint 2010 Rock Star! Doing a presentation tomorrow on some PowerPoint 2010 features. You can access the webinar via the Training Magazine network. They’ll have an archive of the presentation. You can also see the previous presentation on PowerPoint. 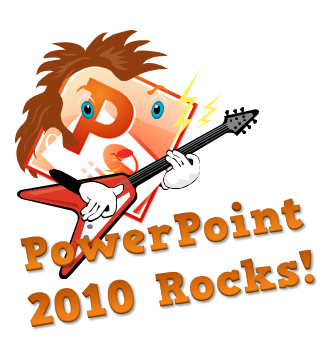 Here’s a link to the free PowerPoint 2010 resources I share with a bunch of tutorials and helpful links. In case you missed it on the Rapid E-Learning Blog, there’s a good post that collects some of Screenr’s best PowerPoint tutorials. All of them are under 5 minutes, with most being 2-4 minutes long. Here’s the post, More Than 100 PowerPoint Tutorials & a Free Template. Check out the tutorials and be sure to grab the free PowerPoint template. © 2019 How to PowerPoint. All Rights Reserved.